Have you ever been torn between two things? I'm not talking Jimmy John's or Potbelly (#thestruggleisreal), heels or flats, movies or bowling, but a serious decision in your life. I'm referring to the decisions that make you feel like there's a war going on between your head and your heart. In these moments, where should we turn? What do we rely on? We live in a culture that tells us to rely on our feelings, to live in the moment because YOLO, right? This is bad advice because the focus is on "me" and promotes selfishness. It also tends to lead us down a path of sin. As Christ followers, we should turn to God, His word and our community. When you're at a fork in the road, ask yourself, "Which path will allow me to honor God the most? Which will promote peace in my life?" This way of thinking shifts the focus from us to God and also steers us clear from sin. Allow God to change your perspective and soften your heart to his will for you. Remember that sometimes God's will could be the tough path so make sure your decision isn't clouded by what you want. Check your heart and be willing to sacrifice your ideas and desires for what God has for you. The pursuit of happiness is just that, a pursuit, which in turn only leads to discontentment. If you follow God's will though, you will be filled with the joy of the Lord which comes from the Spirit. Happiness is conditional, whereas joy is unconditional. What if you're at a turning point where both paths are glorifying to God? How do you know which one to take? Our young adults' pastor, JP, made a comment a few years ago in a sermon that stuck with me. To paraphrase, he said: if it's right or left, not right or wrong, it's OK to choose one or the other. If it's the "wrong" choice, God will correct it because he's bigger than your choices. This reminds me of Proverbs 16:9, "The heart of man plans his way, but the LORD establishes his steps" meaning that if God's glory is our goal and his will rules in our lives, he will guide our steps through his Spirit and grace. To wrap things up, there's one more option to consider and that is to simply wait. If you are at a crossroads and it's not urgent that you make a decision then take some time to figure things out. Be still before the Lord and seek him. Pray for guidance and clarity. While you're in that period of stillness though, continue to be used by the Lord. Trust in the Lord and do good. Dwell in the land and befriend faithfulness. Delight yourself in the Lord and he will give you the desire of your heart. Commit your way to him; trust in him and he will act. He will bring forth your righteousness as the light and your justice as the noonday. Be still before the Lord and wait patiently for him. 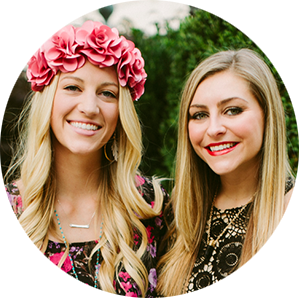 We came across One Crown Apparel through Instagram because of our shared passion of combining fashion and faith. 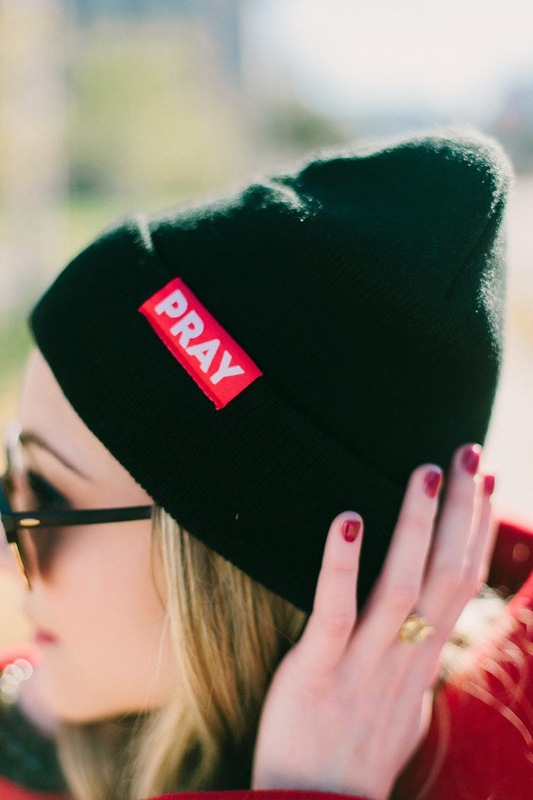 From the moment I received my PRAY Beanie, I knew I wanted to pair it with my red coat! The little red tag is a subtle reminder to stop and pray. I'm excited to see what conversations are sparked because of this beanie!